*You’ll need the free Adobe Acrobat Reader, which you can download by clicking here. OUR CLINICIANS ARE INDEPENDENT PRACTITIONERS HOURS AND AVAILABILITY VARIES. Dr. Barr, a licensed psychologist, graduated from North Carolina at Chapel Hill in 1989. He interned at Iowa State University Counseling Center. 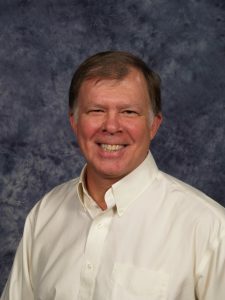 In 1992 he moved to Knoxville and began his career at the University of Tennessee Counseling Center. He served in almost every clinical and administrative position including 10 years as the Director. These roles included being a trainer and supervisor of psychologist-in-training from their first clinical experience through their post-doctoral supervision just prior to full licensure. He also serves as adjunct faculty in both Psychology and Education. He presented at national and international conferences on issues related to college counseling centers. He retired from UT in 2015 and began his practice with BMI in 2016. He has trained extensively in cognitive behavioral models, many of the evidence based treatments, as well as being Eye Movement Desensitization and Reprocessing Therapy (EMDR) trained. He provides individual psychotherapy to adults and adolescents. His practice at the counseling center while generalist in nature was heavily dominated by clients with OCD, Bipolar, trauma, abuse, depression, and anxiety. He has significant experience in particular with either a complex presentation of psychological symptoms or a mix of psychological and physical symptomology. Debbie, a License Professional Counselor, earned her B.A. in Psychology from Clemson University in 1994 and her Master’s of Science degree in Counseling and her Education Specialist degree in Mental Health Counseling from Florida State University in 1996. 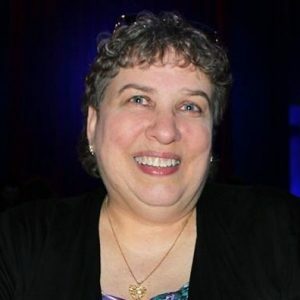 Debbie has a broad range of experience and has worked in college student counseling centers, counseled those with severe and persistent mental health disorders, and has counseled people dealing with depression and anxiety in all age groups. Debbie is a P.R.E.P certified marriage counselor. P.R.E.P. counseling offers couples tools to work through tough and persistent marital issues. Debbie also works with adoptive families, both domestic and international adoption, through Harmony Adoptions of Tennessee. She educates and counsels adoptive parents on attachment disorders and issues related to adoption. Dr. Elledge is a licensed psychologist at the Behavioral Medicine Institute. Dr. Elledge earned her doc­tor­ate in clin­i­cal child psy­chol­ogy from the Uni­ver­sity of Kansas Clinical Child Psychology Program in August of 2014. She completed the Child Clinical and Pediatric Psychology Pre-Doctoral Internship at the University of Louisville School of Medicine and Kosair Children’s Hospital in Louisville, Kentucky. She has received train­ing in pediatric psychology, integrated primary care, acute psychiatric inpatient care, and evidence-based outpatient psychotherapy. Dr. Elledge spe­cial­izes in indi­vid­ual and family ther­apy for chil­dren, adolescents, and their families. Dr. Foreman, a Psychologist, earned his doctorate in clinical psychology from George Mason University in 2001. 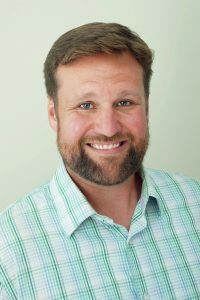 He interned at Eastern Virginia Medical School, then completed a postdoctoral fellowship in pain psychology at the University of Virginia Health System Pain Management Center. Dr. Foreman has specialized expertise in the cognitive-behavioral treatment of chronic pain, medically-oriented issues, depression, anxiety disorders, and insomnia. He also specializes in bariatric psychology, including conducting pre-surgical psychological evaluations and follow-up treatment for patients being considered for weight loss surgery. Mr. Fried, a Licensed Clinical Social Worker, earned his Master of Science in Social Work from the University of Tennessee in 1979. He has been a Board Certified Diplomate in Clinical Social Work since 1987. He worked for ten years as director of outpatient services at Holston Mental Health Center in Kingsport, TN. He also served as family therapist for the Oaks of St. Mary’s in Knoxville, TN in the early 1990’s. He has been in full time private practice of psychotherapy since 1992. His spe­cial­ized areas of treat­ment include Post­trau­matic Stress Dis­or­der, Panic Dis­or­der, and Obses­sive Com­pul­sive Dis­or­der. He is a clin­i­cal mem­ber of the Anx­i­ety Dis­or­ders Asso­ci­a­tion of Amer­ica, the International Obses­sive Com­pul­sive Disorder Foun­da­tion (Advanced Behavior Therapy Training Institute Graduate), and the Inter­na­tional Soci­ety for Trau­matic Stress Studies. Dr. Hulse, a psychologist, obtained his Ph.D. in clinical psychology from Bowling Green State University, interned at Harvard Medical School/Massachusetts General Hospital, and completed a postdoctoral fellowship in behavioral medicine at Dartmouth Medical School. He has also completed a postdoctoral masters degree in clinical psychopharmacology, has served as a member of APA’s Expert Working Group In Psychopharmacology developing a national psychopharmacology licensing exam for psychologists, and has Co-Chaired APA Division 55’s national conference. He has served as director of behavioral medicine at Patricia Neal Rehabilitation Center, as clinical director of the Sleep Disorders Center at Fort Sanders Regional Medical Center, and as an adjunct faculty member in the UTK clinical psychology program. Since 1990, Dr. Hulse has been in practice at the Behavioral Medicine Institute in Knoxville, which he founded. He is a Diplomate of the American Board of Sleep Medicine and of the American Academy of Pain Management. 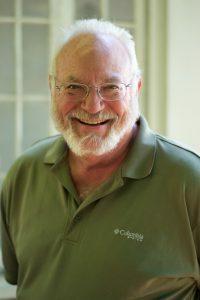 He is the recipient of a Presidential Citation from the American Psychological Association and of Outstanding Contribution to Psychology awards from both APA Division 55 and the Tennessee Psychological Association. He also has served as president and legislative affairs director of the Tennessee Psychological Association. Dr. Hummel is a licensed psychologist at BMI. She earned her doctorate in clinical psychology from the University of Mississippi in 1999. She completed her pre-doctoral internship at Charleston Area Medical Center. 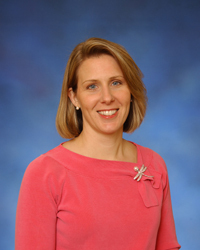 Since completing her training, Dr. Hummel has worked in medical and outpatient settings with children and adolescents. She specializes in treating children, adolescents and young adults with anxiety, depression, adjustment disorders and chronic health conditions. She also specializes in parent training and assisting with parent-child relationship difficulties. She is also skilled in the behavioral treatment of toileting and sleep difficulties in children. Dr. Hummel is also on staff at East Tennessee Children’s Hospital. 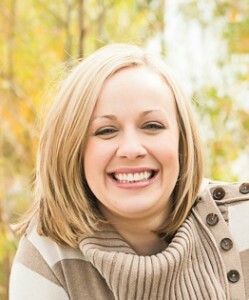 Priscilla Jenkins LCSW is a female clinical social worker in Knoxville, TN. She is licensed to practice by the state board in Tennessee. Her practice is focused on people in their 20s that struggle with Anxiety and/or depression. 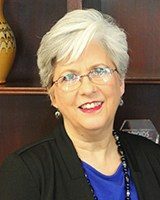 Rosemary Kitts is a licensed clinical social worker who earned her master of science in social work from the University of Alabama in 1975. She has held her Licensed Clinical Social Worker licensure in the State of Tennessee since 1981. She received the “Diamond Award” for professional excellence in 1991 from Knox Area Mental Health Association and the CISM Appreciation Award in 1999 from the Region 2 Ambulance Directors’ Association. She is the Clinical Director for the East Tennessee Emergency Services Chaplains Association Crisis Response Team. 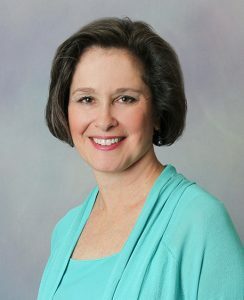 Rosemary has been a therapist in private practice in the Knoxville area since 1985. She specializes in Cognitive-Behavioral counseling with adults who are experiencing depression and anxiety. Dr. Levy, a Psychologist, earned his doctorate in counseling psychology from Indiana University in 2002. He interned at the University of Maryland Counseling Center. Dr. Levy has specialized expertise in the cognitive-behavioral treatment of attention-deficit disorders, anxiety, depression, and other health conditions, as well as performance enhancement interventions for athletes, performing artists, and business people. Of particular note is his expertise in neurotherapy (i.e., EEG neurofeedback), an intervention designed to help individuals learn to self-regulate their mood and attention and concentration processes thru “brain-training.” In addition, Dr. Levy specializes in psychological assessment and testing, including clinical diagnostic testing, comprehensive ADHD testing, pre-surgical psychological evaluations, fitness-for-duty evaluations, forensic evaluations (including child custody), and career assessments (i.e., pre-employment personality testing, career exploration, managerial and leadership evaluations). He is also an Associate Professor of Psychology at the University of Tennessee, Knoxville. Amy, a Licensed Clinical Social Worker, earned her Bachelors of Arts in Psychology and Sociology from the University of Tennessee in 2003, followed by her Masters of Science in Social Work in 2006. Amy has a broad range of experience in mental health and addiction working with children, adolescents and adults in a variety of treatment settings including, psychiatric hospitals, residential programs, schools and traditional outpatient care. Amy’s style balances the importance of authenticity and radical genuineness in the therapeutic relationship with the importance of measurable outcomes and the use of evidenced based treatment practices. While gaining generalist practice experience her career also led her to specialized training in the use of CBT, TF-CBT, DBT and MI. Amy received intensive training from Marsha Linehan’s Behavior Tech team and offers a fidelity based outpatient DBT treatment program at BMI. Amy finds her practice often centers around teaching mindfulness, emotion regulation, distress tolerance, and interpersonal effectiveness. Amy treats children, adolescents and adults struggling with, Adjustment Disorders, Anxiety Disorders, Behavioral/Impulse Control Problems, Borderline Personality Disorder, Depression, Mood Disorders, Grief/Loss, Panic, Self-Harm, Suicidality, Substance Use Disorders and Trauma. 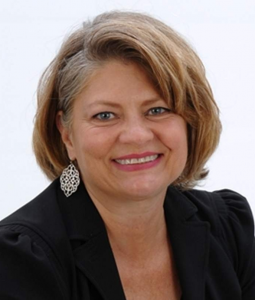 Dr. Neece, a Psychologist, earned her doctorate in counseling psychology from Texas A&M University in 1994. She interned at Georgia State University. She worked for several years at Utah State University’s Counseling Center, specializing in work with persons with anxiety disorders. After moving to Tennessee in 2002, she completed a post-doctoral internship at Cherokee Health Systems where she gained expertise in autism spectrum disorders and behavioral problems in children. She was employed as a psychologist there from 2004 until beginning private practice in 2008. At BMI, she also provides pediatric sleep and OCD services. She also consults at East Tennessee Children’s Hospital. Dr. Paulauskas is a board certified General Psychiatrist, and is also a Fellowship-Trained Child and Adolescent Psychiatrist. She earned her MD in 1985. After practicing Internal Medicine in Lithuania for a several years, she moved to the US, and earned her MSW from Loyola University of Chicago. She then completed her General Psychiatry residency followed by a fellowship in Child and Adolescent Psychiatry, all at the University of Kentucky School of Medicine in Lexington. Her extensive training has helped to serve clients with multiple needs in this community. She has been practicing as a Child, Adolescent, and Adult Psychiatrist since 2004. Though Dr. Paulauskas has worked with patients of all ages, at BMI she is focusing on child and adolescent psychiatry and medication management. Teresa Pratt is a licensed clinical social worker with specialized experience in geriatrics and human-animal bond issues (pet loss, compassion fatigue, treatment for animal abuse). She earned her master of science in social work from the University of Tennessee in 2007 and also completed a graduate certificate in gerontology during that time. She has worked in a variety of settings including a partial hospitalization program for older adults experiencing mental health issues and/or mild cognitive decline, veterinary social work through the University of Tennessee College of Veterinary Medicine, and CMH outpatient clinics. 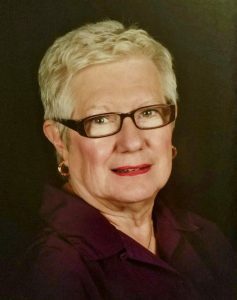 While having experience with all age ranges, she currently sees individuals 16 years and older, couples and older adults. Dr. Stillman, a Psychologist, earned her doctorate in clinical psychology from Vanderbilt University in 1990 with a specialization in health psychology, then completed a postdoctoral fellowship in behavioral medicine at Dartmouth Medical School. Following a year as staff psychologist at University of Nebraska Medical Center, she returned to Dartmouth Medical School as Assistant Professor of Psychiatry and as a clinician in the Behavioral Medicine Section and the Anxiety Disorders Service. She has been with BMI since 1994. Dr. Stillman specializes in time-limited, cognitive-behavioral treatment of medically-oriented problems, chronic pain and headache, and women’s health issues. She also has particular expertise in the cognitive-behavioral treatment of depression and anxiety disorders. Dr. Stockdale is a licensed Counseling Psychologist with Behavioral Medicine Institute, providing on-site consultation for Pain Consultants of East Tennessee. In addition to her PhD in Counseling Psychology, she holds both BSN and MSN degrees from the University of Tennessee College of Nursing in Memphis, TN. Her doctoral research, which she completed in 1989, was the first of its kind measuring the effects of relaxation training in internal defibrillator patients. Nationally, she was one of the first Mental Health Clinical Nurse Specialists to provide crisis intervention, counseling, and grief work in an ICU setting. Her development of this role was featured in an American Journal of Nursing documentary in 1986. She is a former member of the Academy of Psychosomatic Medicine. Additionally, she is published in multiple nursing journals, including Heart and Lung. Because of her unique clinical experiences, she has been a featured speaker at the local, regional, and national level. Her focus has always been practical coping skills, patient education, and using the mind-body connection to help each patient reach his or her full potential. At PCET, she provides addiction-risk assessments and individual counseling to help the patients cope more effectively with chronic pain. Dr. Watkins is a provisionally licensed clinical psychologist with over 10 years of experience working with children, adolescents, adults, and families. He earned his doctorate in clinical psychology from the University of Tennessee in 2016. He completed his pre-doctoral internship at the Jefferson County Internship Consortium in Louisville, KY. He has received extensive training in the treatment of anxiety, mood disorders, oppositional behavior, impulse regulation difficulties, trauma, and parenting strategies. He has also received training in the administration of psychological assessments, psycho-educational evaluations, and Autism Spectrum Disorder diagnostic evaluations. Dr. Watkins specializes in individual therapy for children and adolescents, family therapy, and psychological assessment. 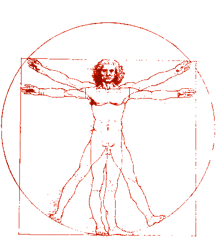 BMI’s clinicians specialize in the application of the Bio-Psycho-Social Model of health and disease. We provide evaluation and treatment of the psychological aspects of physical disorders and of stress-related disorders. BMI clinicians also treat the full range of general mental health disorders. The group includes psychologists, clinical social workers, psychiatrists, psychiatric nurse practitioners, and licensed professional counselors. It was founded in 1990. We offer empirically-validated assessments and treatment programs for a variety of problems. We routinely follow a collaborative care model, coordinating our work with the patient’s other medical providers. We are also experienced in the integrated care model, and several of our satellite offices are located within other area medical practices. We have multiple pediatric and family clinicians affiliated with our practice, several of whom specialized in the evaluation and treatment of Autism Spectrum disorders, and other disorders of childhood and adolescence. We also have clinicians who specialize in marital/couples therapy. Chronic Insomnia is one of the most common problems for which patients seek help from their doctors. Recent research has shown that cognitive-behavioral treatment programs for insomnia are actually significantly more effective than sleeping pills. Our program is based on that research. Obstructive Sleep Apnea Syndrome is a potentially life-threatening medical condition, but one which can be very effectively treated with Continuous Positive Airway Pressure (C-PAP) machines. However, C-PAP machines present a real challenge for many patients to tolerate–long-term adherence is only about 60% nationally. Our program can markedly improve adherence via addressing anxiety and other issues interfering with a patient’s ability to utilize the device. A traumatic event such as an automobile accident or industrial accident can lead to a severe psychological condition known as Posttraumatic Stress Disorder (PTSD). Our PTSD Program is highly specialized and intensive program. Clinicians evaluate the precise nature and degree of the trauma-based disorder, then utilize all treatments that are known to reduce symptoms so the person can return to work at the earliest possible date. Chronic Pain is a complex, multidimensional phenomenon comprised of several interacting components: psychological, sensory, affective, cognitive, behavioral, and social. The BMI “Coping with Chronic Pain” program focuses on NON-DRUG approaches to learning to live with chronic pain and reaching maximum improvement in spite of limitations. Patients with disorders such as Chronic Fatigue Syndrome and stress-related illnesses often achieve symptom relief from Cognitive Behavioral Therapy. CBT includes cognitive restructuring, biofeedback, and psycho-education. 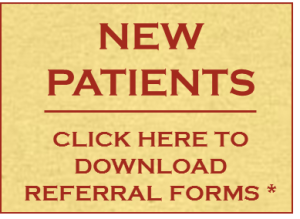 Patients with any chronic illness frequently benefit from this treatment approach. Panic Disorder, Social Anxiety Disorder, Specific Phobias, Generalized Anxiety Disorder and Obsessive Compulsive Disorder are disabling problems that affect twenty-three million Americans. Research and clinical evidence demonstrate that, with specialized expertise, the patient can have great symptomatic relief in a limited period of time. 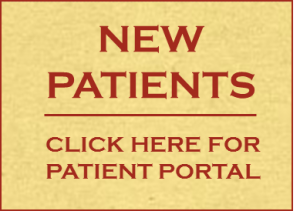 The clinician guides, teaches, and supports the person throughout treatment. Although many emotional difficulties can be fully treated with psychotherapy alone, at times additional treatment with medication may be necessary. In fact, research indicates that the combination of psychotherapy and medication can often be the most effective treatment for many conditions. During an initial consultation meeting, patients and our clinicians work together to identify the client’s individual needs and concerns and to determine whether psychotherapy, medication, or a combination of treatment options may be most beneficial for the patient. At BMI, we offer psychopharmacology treatment and medication management programs for a range of emotional and cognitive problems, including mood problems, anxiety symptoms, and Attention Deficit Hyperactivity Disorder (ADHD). When needed, our experienced psychopharmacologists work closely with a patient and his or her therapist to identify the most effective psychopharmacology treatment options for each individual. Through regular follow-up meetings, they also carefully monitor the progress of clients to ensure that each person is receiving optimal benefit from psychopharmacological medications. BMI’s psychopharmacology and medication management services are also available to patients seeing therapists outside of BMI and for patients not currently in therapy. If you think that you might benefit from a medication consultation, please speak with your therapist about initiating a referral for you to see one of our psychopharmacologists. The Health Improvement and Stress Management Program is designed for patients with non-organically based problems, such as fatigue, dizziness, or headaches. It is a time-limited, skills-learning program based upon the latest theories of the mind-body relationship and teaches patients how to recognize and deal with recurring physical, stress-related symptoms. The bariatric psychology services provided at BMI are designed to assist patients throughout the process of undergoing weight loss surgery. Pre-surgical psychological evaluations assess patients’ psychological readiness and suitability for bariatric surgery and include a detailed clinical interview and objective psychological testing. Behavioral medicine intervention prior to weight loss surgery can also help prepare patients for the biopsychosocial adjustments that are often experienced following surgery. Cognitive-behavioral therapy after weight loss surgery can assist patients with adjustment/emotional issues, stress management, and learning alternative coping strategies to address common weight-related issues such as emotional eating/”head hunger”.